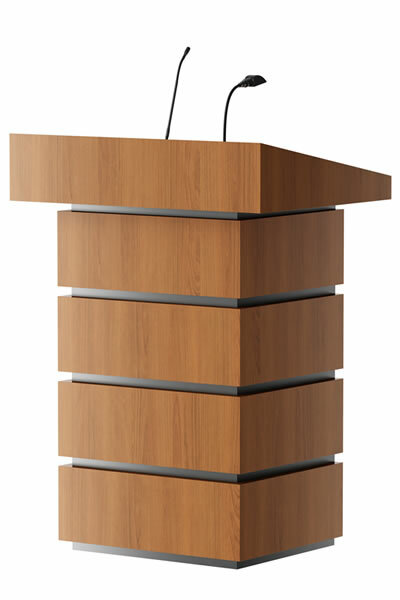 Lectern made from wood combined with stainless steel look inlays between the wooden sections. 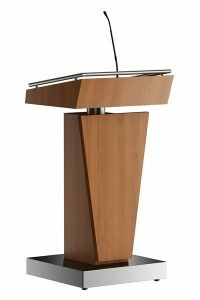 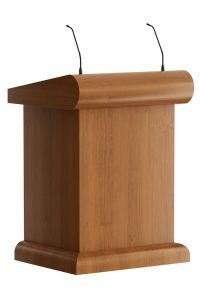 The Barracuda Big Top is the big brother of the Barracuda lectern. 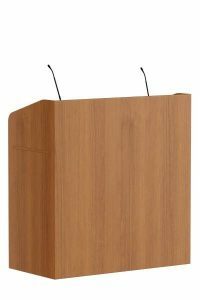 The extra wide reading area adds extra space for the speaker’s presentation materials. 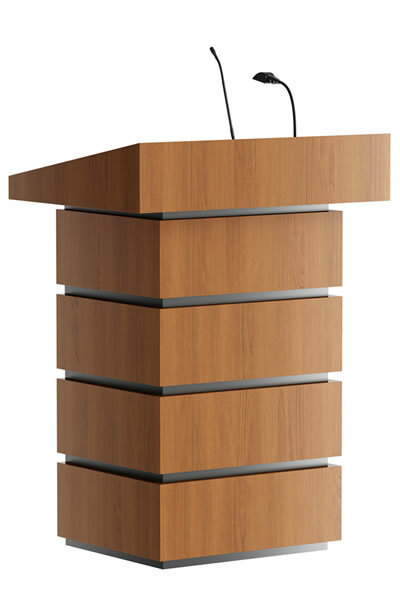 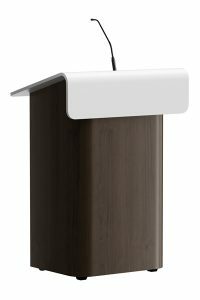 For a better contrast between the lectern and the floor an extra stainless steel look bottom profile can be added. 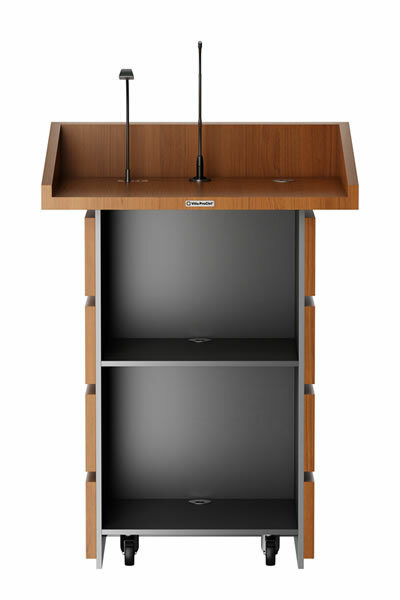 The Barracuda Big Top is sized up with more room for a fixed screen and a laptop next to each other. 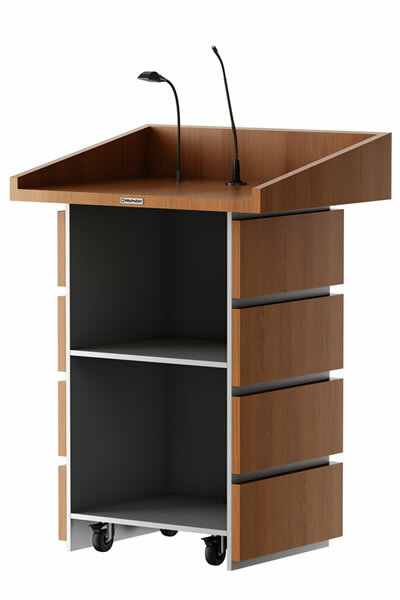 Can be provided with Cable Cubby for connecting your devices. 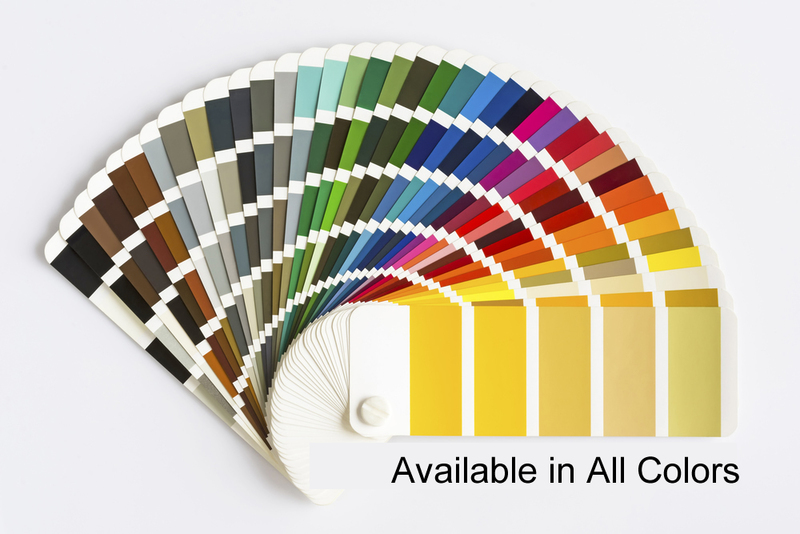 Optional an Extron Domotics control can be installed. 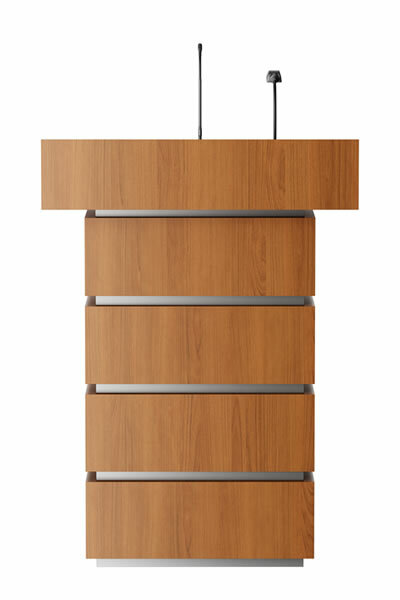 In the bottom shelf there is space for your PC. 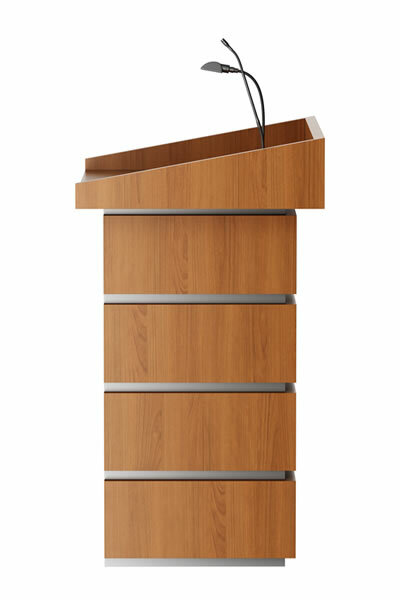 Others also viewed the lectern model Box Wood.